ETX Capital is a London-based brokerage offering Spread Betting (for UK clients), CFD trading, Binary Options Trading and trading via a MetaTrader4 hosting platform. Traders are given a choice of four platforms; ETX Trader. ETX TraderPro, ETX MT4 and ETX Binary, each of which offers specific benefits to users. With a wide range of product choice – over 6,000 tradable items – ETX clients have enhanced access to the financial markets, with options including over 50 FX Currency pairs, a significant number of Commodities, thousands of individual Equities and both major and minor Financial Indices. Traders choosing ETX can enjoy a range of favourable tight spreads, starting, for example, at 0.7 pips for EUR/USD and from just one pip for many major financial indices. Significant leverage opportunities are also available, with many products offering leverage of 100/1 and some products on the MT4 platform with leverage of up to 400/1. 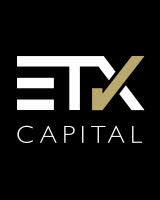 With over 10 years of financial brokerage experience, ETX Capital is regulated by the UK’s Financial Conduct Authority, and has instituted certain safeguards to enhance client fund safety, including the strict separation of retail client funds and company money as well as daily security checks in order to make sure that the company’s regulatory capital is at an acceptable level. Such safeguards may not be offered by firms which are regulated outside of the UK. Cognizant of the growing number of traders using their mobile devices to take positions in the markets, ETX Capital offers mobile trading platforms on iOS and Android, allowing clients to move beyond the confines of their desks and trade whilst on the move. A dedicated customer service team is available during trading hours to answer any queries and solve any problems that customers may have, whilst ETX also operates a support site dedicated to answering some of the most frequently asked questions related to the company’s products. ETX Capital offers a large number of educational opportunities to clients, with regular face to face seminars and online webinars (both live and recorded) on a wide variety of trading topics, all of which are free to ETX Capital clients. ETX Capital also offers an in-depth trading course followed by monthly strategy sessions – worth over £1,000 on the open market, this course is also free to traders using any of ETX Capital’s platforms. Demo platforms are also available for the TraderPro and MT4 platforms, allowing clients to test out each before deciding which suits them best. Daily commentary on the financial markets is freely available in both video and written format, as is a global realtime newswire from the International Business Times, allowing traders to take positions based on up to the minute information. ETX Capital has been recognised as 'Best Spread Betting Provider' at the City of London Wealth Management Awards 2015. The company came in ahead of several competitors to claim the title, which is voted for by members of the public.